Its been a while since we last had a giveaway. This however, is about to change. Thanks to HTC one lucky reader will want the newest phone from their arsenal of devices. 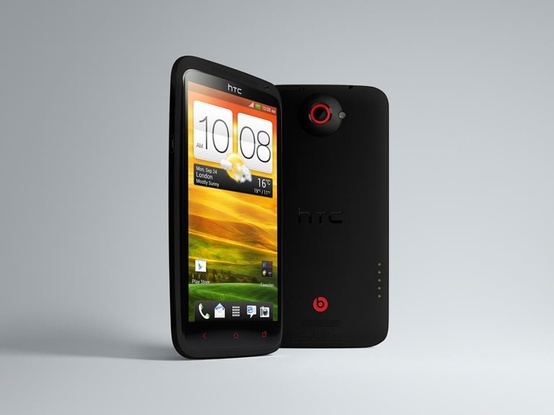 The HTC One X+ and works on the AT&T network exclusively. The phone has a great camera, easy user interface, and comes pre-loaded with a slew of handy apps that make using the phone a joy. Want it? Here’s your chance– post a comment and tell us what your favorite way to connect with friends online! Do you stalk their instagram? Read all their tweets like a maniac? Make list from their pin boards? Let us get creative. And, you might win this shiny new phone. Winning is as simple as posting a comment. The contest begins today (January 28) and ends this Friday (February) at 5pm. *Remember to include in your comment if you have done any of these bonus steps. Also, provide your Twitter name, or email for us to contact should you win. Good luck and send us a tweet if you have any questions. Content and/or other value provided by our partner, HTC. Service is not included and contest is only open to US residents. I followed you on twitter as dreavero! followed on pinterest as andreavw! My favorite way to stay connected online is emails and twitter. My favorite way is via facebook and twitter. following you @thefabreport on Twitter! My favorite way is vis facebook and twitter. I keep up mostly with instant messenger and i stay current with facebook updates. I follow your facebook page as Rust Hawk. My primary way to connect with friends online is through twitter and facebook. Favorite way to connect with friends is through facebook, but then again, I also connect with others through twitter. I instagram inspiring pics for those who share the same passion of snapping pics. So many ways to connect! Myt favorite way is through Facebook. Amazingly you will reconnect with people you haven’t heard from in 10 years. My favorite way to connect with friends is to scan through Facebook at least once a day and see what they are up to. I like to check my Twitter feed a few times a day to keep up with my friends. I follow you on Twitter and Facebook and Pinterest. My favorite way to keep up with my friends is through Facebook, which is funny because I don’t post on Facebook often at all! I also like you on FB and Pinterest. liked on fb – Kelynnma M.